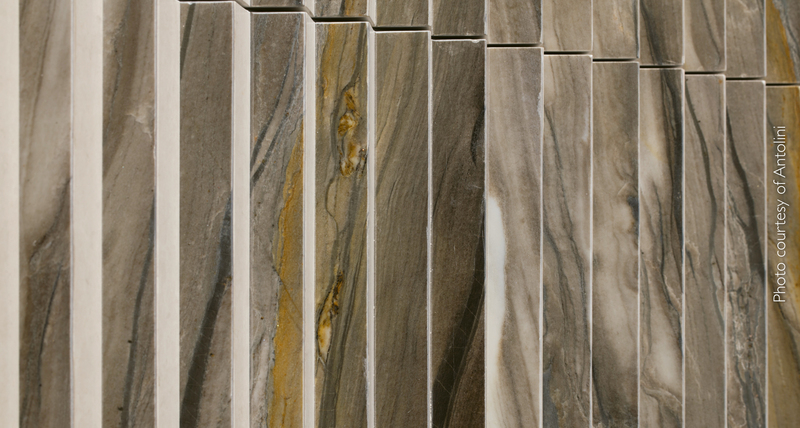 Italian stone maker Antolini aims to transform the often bland walls in today’s modern residential architecture from 2D to 3D with their new tile paneling creation, the Antolini Perception Collection. These designs are carefully crafted to deliver this visual transformation in gradations as the viewer’s eye scans the wall, ranging from a series of flat tiles, to a series of tiles cut at varying angles, and then transitioning again to a series of flat tiles. Architects, builders, designers, and homeowners considering these surfaces for their projects can contact the Antolini representatives in their respective countries.